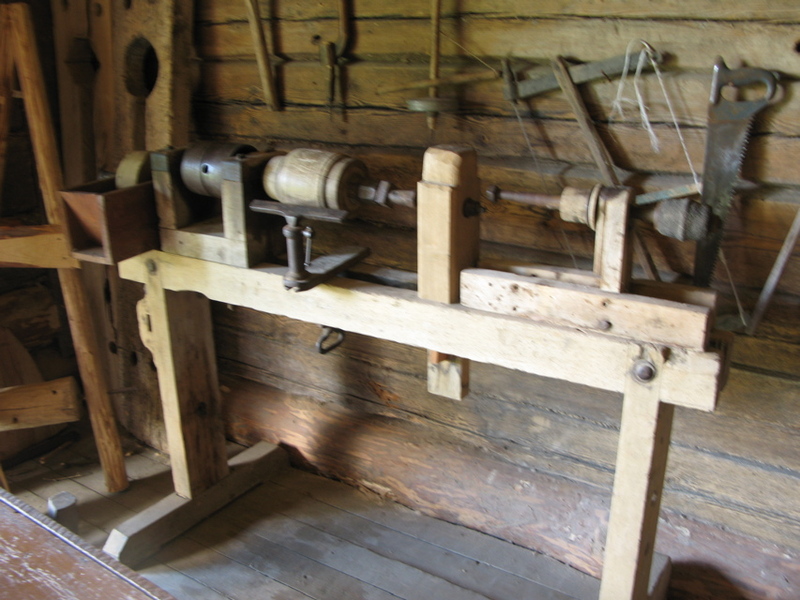 During a trip to the Horse Museum in Niuronys Lithuania, I saw a couple of treadle lathes on display in a recreation of a wheel wrights shop. The first lathe seems to be a commercially made from around 1900. 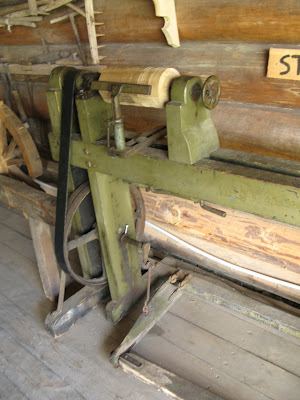 Treadle lathes like these continued to be used regularly up until about the 1950's. The lathe has a very sturdy base, made from approx 8"x4" oak and seems very similar apart from the lack of an electric motor to a modern lathe. 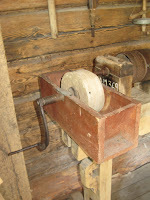 The picture shows a blank for the hub of a cart wheel between the centers. 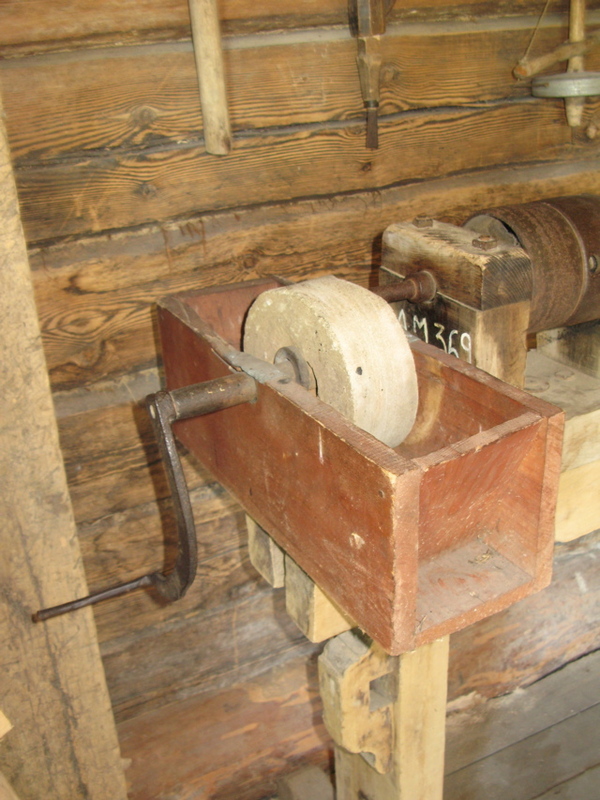 The second picture shows a shop built lathe from about the same period. The lathe was originally a treadle lathe but has been upgraded to belt drive. On the right you can see a boring attachment (for making holes - not uninteresting), and on the left is a nice hand cranked water cooled grind stone. Until relatively recently these lathes were used for the commercial production of cart wheels. This interesting Horse Museum located 8 km outside Anyksciai is the only of its kind in Lithuania. The importance of the horse to the economy and agriculture of Lithuania is the main topic of the exhibits and collections contained in the museum.